The Grim Ripper is a super fun shape blending both stability and rip-ability... 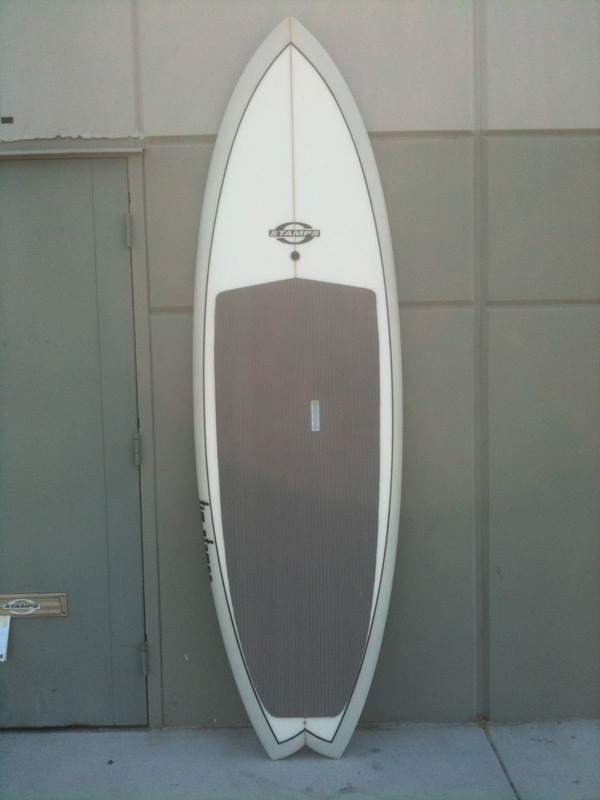 I've got one just like this and have loved the board. Jess will be tearing on this one. What's the dimensions on this board? Width, liters, etc. You should do a review of Kings Boards - great shapes! Keep up the good work on the Blog! What's the dimensions on this board? Width, liters, etc. You should do a review on Kings Paddle Board - great shapes, especially the WCT. Keep up the good work on the Blog. That board is somewhere in the range of 8'6 x 29"x 4.25" something like that. Volume is probably close to 120L but that's a wild guess since Tim changes the volume based on rider weight. The big "custom" aspect is getting the volume right- we like to have just enough to float and paddle- you're feet are NOT high and dry on these boards. If you think this one is cool, wait 'til you see my new one!